Dental Crowns restore teeth that are severely broken down from decay or fracture. The colour is customized to match your other teeth so that a crown will look just like a natural tooth. Budapest Dentists can arrange an O.P.G. Panoramic x-ray for you in Ireland or in the U.K.. The time frame for having crowns made and fitted in Amfidental Dentallux Clinic in Budapest is 5 working days, ideally Monday to Friday. On the 1st day, your teeth will be prepared and impressions will be taken. On the 2nd day the technician/ceramicist creates and prepares the crowns/bridges for your first fitting which will take place usually on the 3rd day. 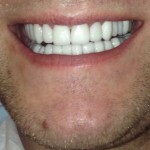 On the 4th or 5th day the crowns/bridges are fitted and bonded. Cercon-Zirconia is the strongest and toughest dental ceramic. The new Monolithic Cercon Zirconia crown which is CAD-CAM designed is unbreakable. These crowns have a tooth coloured zircon base that replaces the normal metal base. 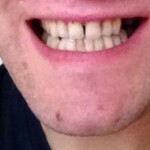 Zeno Cercon Zirconium All Ceramic Crowns the most beautiful and natural looking crowns cost only €250. Zeno Monolithic Zircon crowns cost €275. These top of the range Zeno Cercons crowns normally retail between €400 and €500 approx in Budapest and for more than €1000 in Western Europe.